U.S. stocks declined as much weaker-than-expected data for retail sales outweighed earlier optimism over trade deal progress. The S&P 500 (^GSPC) fell 0.27%, or 7.3 points, as of market close, after having risen the previous four trading sessions. The Dow (^DJI) dropped 0.41%, or 103.88 points, while the Nasdaq (^IXIC) ticked up 0.09%, or 6.58 points. New economic data published Thursday showed that retail sales in the U.S. dropped by the largest amount since September 2009 amid heightened financial market volatility and the protracted partial government shutdown. Meanwhile, producer prices unexpected declined for a second consecutive month. 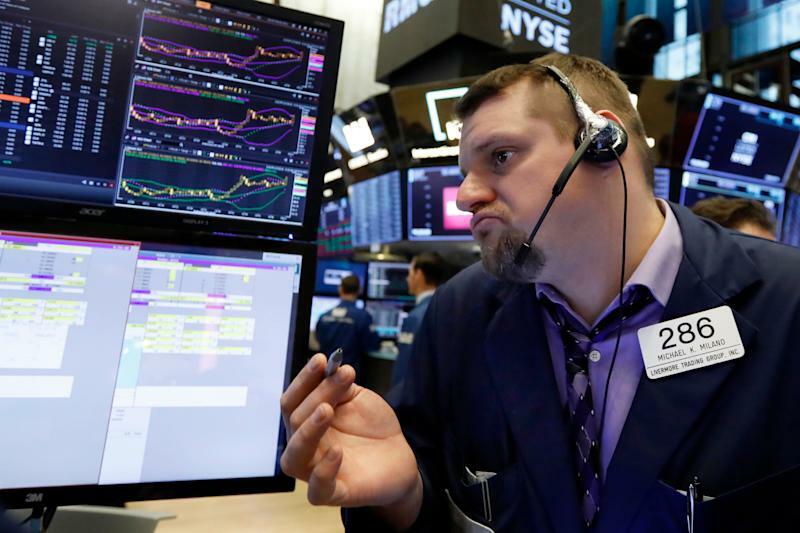 Prior to these releases, stock futures had advanced in late trading Wednesday following a Bloomberg report that President Donald Trump was mulling a 60-day extension to imposing a higher rate of tariffs on Chinese imports. The Trump administration was previously expected to raise the rate of tariffs on $200 billion dollars-worth of Chinese goods to 25% from 10% at the beginning of March, if an agreement was not worked out before that deadline. A U.S. delegation including Treasury Secretary Steven Mnuchin and Trade Representative Robert Lighthizer are meeting with Chinese officials Thursday and Friday as the two sides try to come to a more permanent trade agreement. Members of the Trump administration have continued to telegraph that the talks have been going well, but many investors will need assurances of a solidified long-term resolution amid months of trade news-related market volatility. Members of the automobiles industry have been among the most vocal about concerns over rising tariffs. Management for General Motors (GM) in its most recent call with investors said that the company had factored in headwinds for the year “from commodities and tariffs to the tune of $1 billion.” Management for O’Reilly Automotive (ORLY) noted pricing concerns and said in their most recent earnings call that they expected to see increases in average customer tickets as a result of cost increases, but that this would in turn put pressure on ticket count. The U.S. Commerce Department is scheduled to release its findings on an auto investigation to determine whether imported vehicles and auto parts are a threat to national security by February 17. Trump is then to decide within 90 days if any action is deemed necessary. Their prediction is for the administration to take one of three actions: impose a broad 20% to 25% tariff on all auto imports with exceptions granted to some countries along with import quotes; impose a 20% to 25% tariff on autonomous, connected, electrified and shared (ACES) vehicles; or a scheme that falls somewhere between the former two possible outcomes. Elsewhere, Congress is expected to vote Thursday on a deal to avoid another partial government shutdown. A statement announcing the deal indicates it includes “$1.375 billion for approximately 55 miles of pedestrian and levee fencing in the Rio Grande Valley,” short of the $5.7 billion in border wall funding Trump originally demanded. The Senate is first expected to vote on the deal, followed by a House vote later in the day. Trump must still sign off on legislation passed by both chambers of Congress, but the expectation is for the president to approve the package. Retail sales dropped 1.2% in December, surprising consensus economists who had foreseen a 0.1% increase. The decline represented the largest since September 2009 and coincided with heightened market volatility and the partial government shutdown. In November, retail sales were downwardly revised by 10 basis points to see a 0.1% increase, the Census Bureau reported. Retail sales in December excluding automobiles and gasoline dropped 1.4%, or the most since March 2009, following a 0.5% increase from the previous month. Producer prices declined in the U.S. in January by 0.1%, the same month-over-month pace of increase as in December, based on the Bureau of Labor Statistics’ upwardly revised figure. Consensus expectations had been for a 0.1% increase in the producer price index, according to Bloomberg data. The decline in headline final demand is attributable to a 0.8% decrease in prices for final demand goods, with nearly half of this decrease in turn a result of a 7.3% decline in gasoline prices, the BLS noted. The index for final demand services, on the other hand, increased 0.3%, largely a result of increases in margins for final demand trade services. Excluding food, energy and trade services, the index for final demand rose 0.2% in January from no change in December. PPI excluding food, energy and trade services increased 2.5% in January year-over-year, or short of the 2.6% pace of increase expected by consensus economists. New jobless claims rose to a seasonally adjusted 239,000 for the week ending February 9, according to a Labor Department report Thursday. This came in ahead of expectations for 225,000 new claims, according to Bloomberg-compiled estimates. Continuing claims for the week ending February 2 also came in ahead of expectations at 1.773 million, versus 1.736 million the week prior.